The appearance of another Pascal-based graphics card came as a quite a shock and surprise last month. In the GTX 1070 Ti revelation it was crystal clear that NVIDIA had their sights set on total victory over AMD Vega. While Vega56 and Vega64 struggled to gain any traction against the might of the GTX 10 series, this final hurrah from NVIDIA is certain to deliver the final blow. One astounding and yet understandable attribute about all forthcoming GTX 1070 Ti graphics cards is a certain limitation placed on all partners by NVIDIA, preventing them from applying any such factory overclock to the GPU or memory clock speeds. Astounding, because this renders all GTX 1070 Tis on par which each other in terms of performance and yet understandable because allowing out of the box overclocked performance on this new GPU will have a detrimental effect on current GTX 1080 sales. Today we turn to ZOTAC for a detailed look at their new GTX 1070 Ti AMP Extreme. While this graphics card may not hold the usually dramatic factory overclock that we typically expect, it does deliver a triple fan configuration by way of IceStorm – offering both cool and quiet operation and ZOTAC does have a nifty little trick up their sleeve… available as a download for users of the GTX 1070 Ti AMP Extreme, ZOTAC has created a custom profile which can be easily installed, allowing gamers to transform their stock settings to the monstrous clock speeds which the AMP Extreme is renowned for. The most advanced gaming GPU ever created. 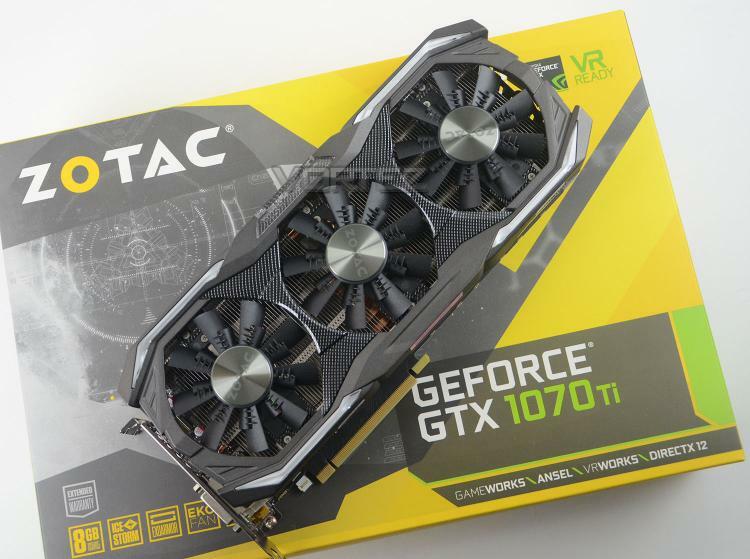 Powered by NVIDIA Pascal™ architecture, the ZOTAC GeForce GTX 1070 Ti Series is the world’s most advanced gaming GPU ever created. It strives for the excellence in power, speed, cooling, noise, gaming, and size with no compromise on performance.